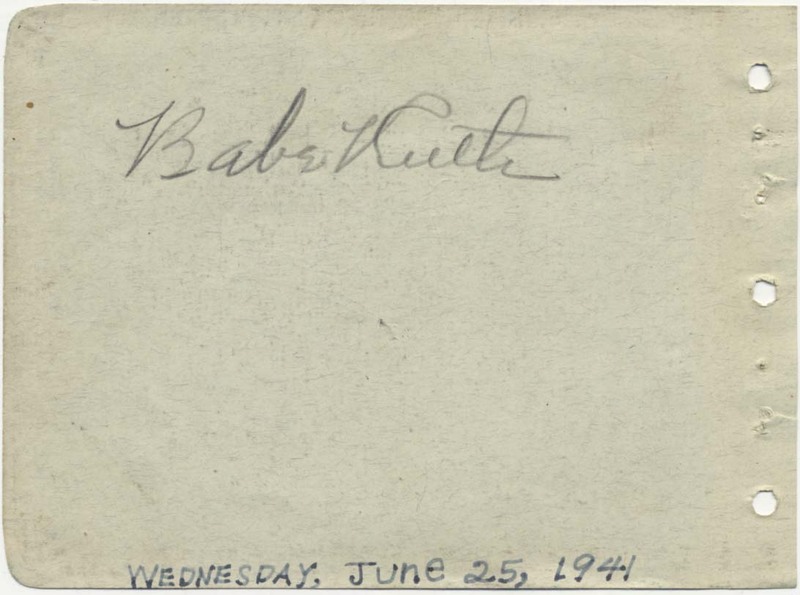 One of the best autograph album pages you will ever see, offered is a wonderful single page signed on one side by Babe Ruth and the other by Ty Cobb. There is no bigger star power than this pair! The autographs are in bold and clean pencil, and were each signed in 1944. They have almost no overlap if one were to decide to cut them, just the very, very top of Ty Cobbs signature would be affected.